Some of my passions (not in exact order) are my family, friends, card making, shoes, fashion, my Faith, accessories, savings and reading. 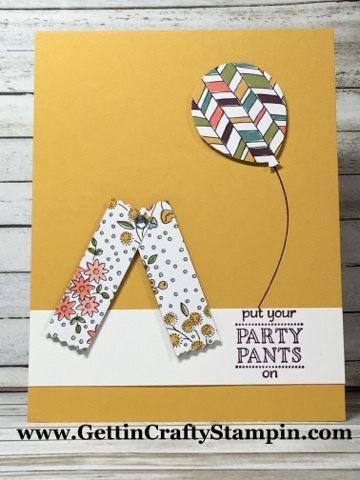 Here is a fun combination of crafting and (lol) fashion while we celebrate with FREE Paper and Stamps during Sale~A~Bration (ending in just a couple of days!!). 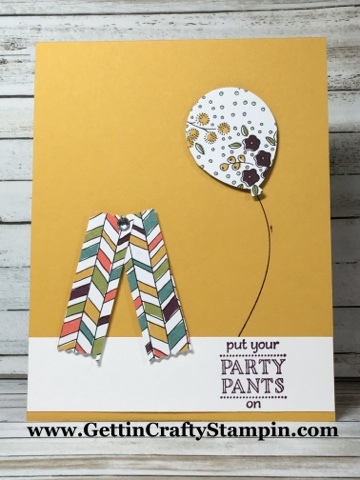 Put your Party Pants on and join us in creating and delivering some fun at upcoming card making classes! Created at a recent Ragamuffin Connect, Create and Card Making over Coffee (or tea) FREE Card Making time, this was such a fun and easy card! Punch Art is the art of using a punch for one thing in a new way to create something different (and fun and cool!!). Here the Washi Label Punch is so much fun! It coordinates with stamp sets and is great for word stamp sets (like Teeny Tiny Wishes and And Many More). Two punches of this fun and FREE (for a limited time) Wildflower Fields Designer Series Paper. OPTIONS.. this girl loves her options. So these fun floral punch-art 'pants' are a great option. Add a pretty bling button with our adhesive backed Rhinestone Jewels. Take the two punched 'legs' and adhere them together with a Glue Dot. Pop them off of the hand-stamped card with Stampin' Dimensional adhesive (and on the punched balloon). 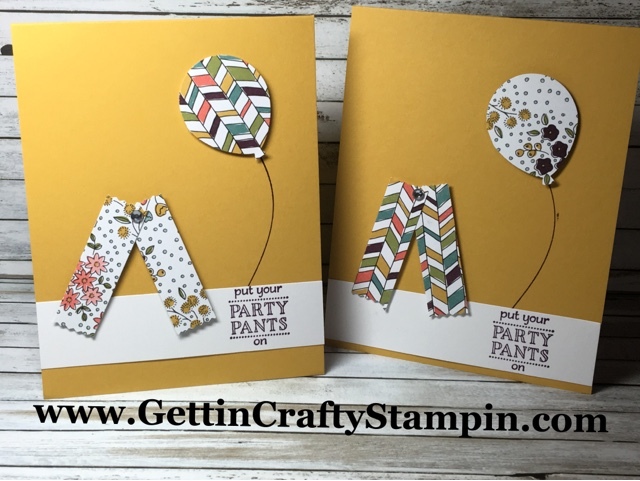 This fun and FREE Party Pants stamp set is so much fun! Add this saying stamped in the Blackberry Bliss in-color ink (that is soon to retire) to your hand-made cards. The coordianting Balloon Bouquet punch is designed to work with mulitple stamp sets (more bang for your buck). What do you love? Create and celebrate those in your life with a fun and pretty hand-crafted card. Bring home the extra awesome FREE pretty papers and stamp sets (for the next two days). Have fun in your card making and rubber stamping like this easy and fun handmade card. 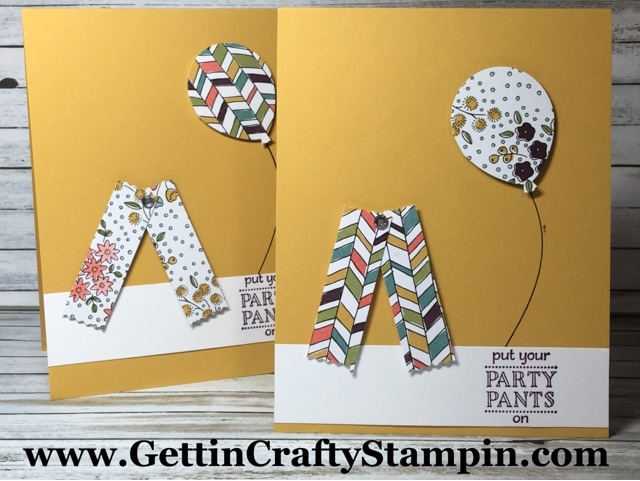 Join Us at our fun card making classes to create and connect with others.